I took this photo on Gyoko-dori street yesterday. 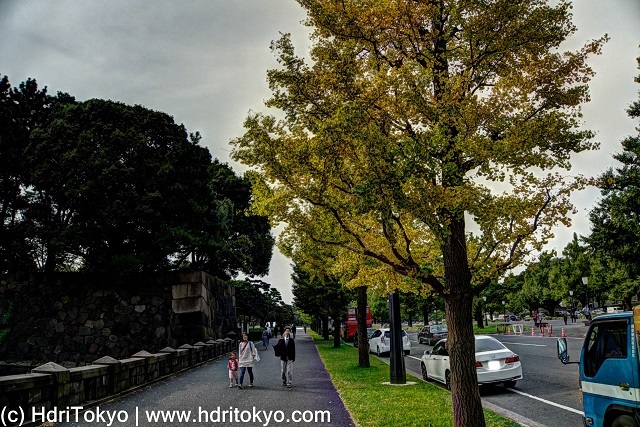 Gyoko-dori street lies between Tokyo Station and the Imperial palace plaza, and rows of Ginkgo trees stand along the street. Almost of those trees still had green leaves, but leaves started to change color in one of the trees.